1968 saw another new development and departure for DAF; the introduction of a car using a water-cooled as opposed to air-cooled engine. 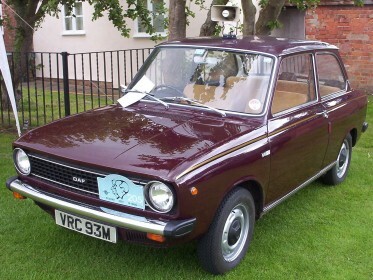 This was the DAF 55 which used the same bodyshell as the DAF 44. Initially a saloon, followed by an estate, and then even more excitingly, the very attractive coupé. 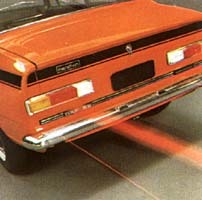 DAF used the Renault 1108cc engine, which took the car into a new league regarding performance, and perhaps making it attractive to more customers. It also used the same rear swing arm suspension and transmission from the 44. Other differences to the 44 included a more sporty two-pod speedometer, reclining front seats and slightly later, the use of cloth upholstery on the seats, as opposed to vinyl. 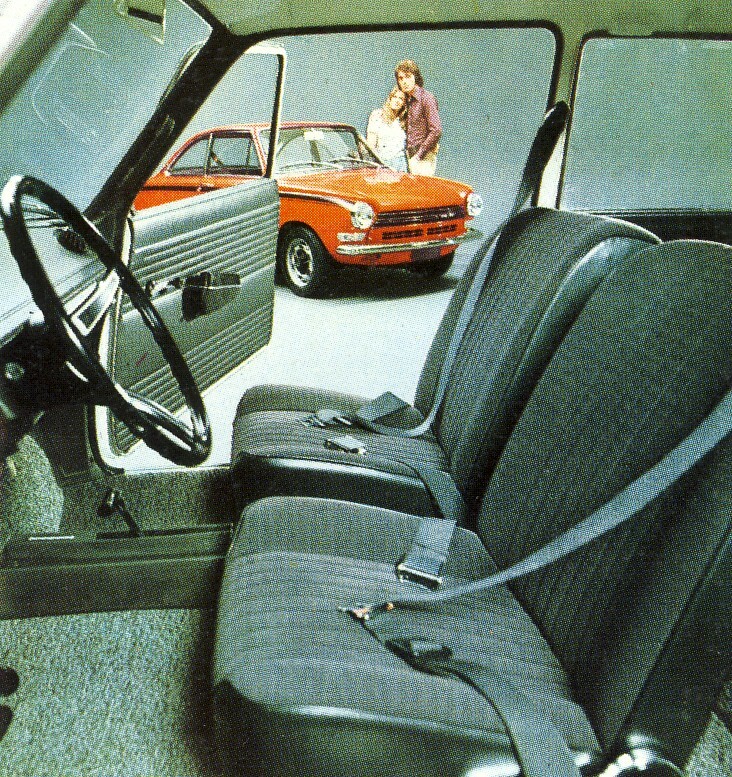 This was unusual for small cars then. The 55 also gave DAF considerable success in the world of motorsport, and helped to move away from the "shopping car" image. Two 55s competed in the 1968 London-Sydney Marathon and as a result, DAF launched its sub-brand "Marathon" models. These had a more highly tuned engine, wider wheels and a wide flash stripe down the side. 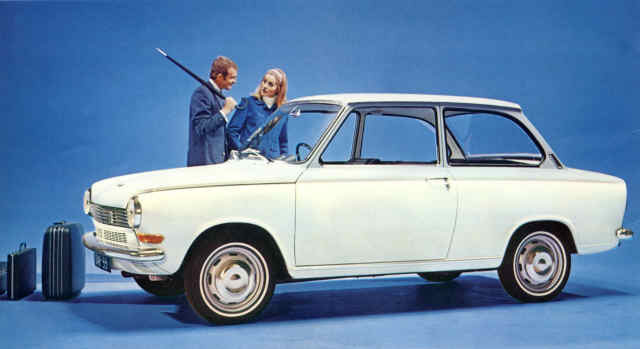 The coupé version was more a 2+2 - only small people could fit comfortably in the back, but the 55 Marathon on particular is regarded by many as the "most wanted" DAF. But like all DAFs, they are very rare now. The 55 was also available with the estate bodyshell, which proved a popular and efficient option. 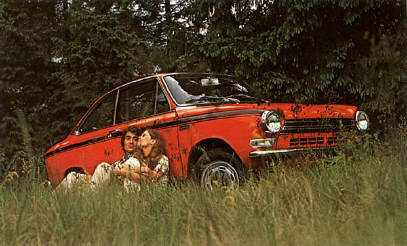 The DAF 66 was introduced replacing the 55 in 1972. The main visual difference was to the front end styling. This was "squared off" using slightly different shaped wings, a flatter bonnet and wide plastic grille. Inside the dashboard was updated with altered dials and switches, and the tailights were redesigned. The main difference though was to the rear suspension. The 44 and 55 used a swing-arm arrangement, and with the increased power, it was decided to improve ride and handling with the 66. 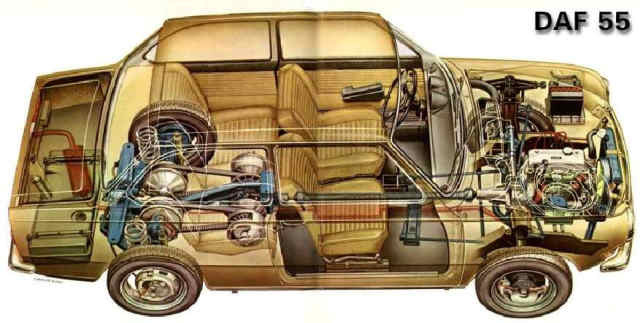 This was achieved by using a de-dion arrangement and a slightly modified transmission.